Mike Arnessen wrote on SEOmoz recently about how businesses need to prepare for 'AuthorRank' in order to get ahead on Google. Google is always looking for ways to improve their ranking system and weed out low-quality sites and those sites which are ranking well simply because someone is 'gaming' the system. At that time there was no real viable way to identify these 'agents' in order to assess their influence and use them as a ranking factor. Then along came Google+. Since Google+ appeared, Google has been trying harder and harder to encourage users onto their social network and they've been working out more and more ways for Google+ activity to effect the search results. We've seen a few already - they started adding +1 buttons right inside search results, they added 'social' search within the main results (showing posts on Google+ or things liked/shared by your friends) and now they're merging Google Places data into Google+Local (which connects Google+ business pages with their Google Places pages). 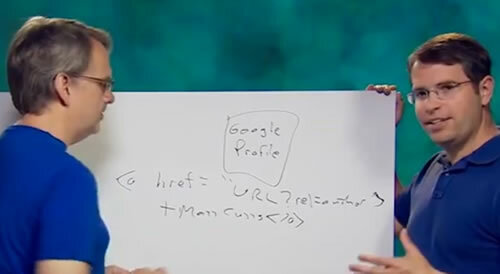 One of the other ways Google has been integrating Google+ with search is with Authorship Markup. This system encourages authors/writers to connect the pages/blogs/sites they write for with their Google+ account and vice versa. This connection is then used to display more information about the writer available right in the search results. This new listing includes a profile photo, link to their Google+ profile and quite often the option to view 'more articles by' the author. And there they have it. They now have a way to track 'agents' and assign them an 'AuthorRank'. With the constant importance given to quality content, it's easy to see that AuthorRank will at some point have an influence on search rankings. Although we cannot say how much influence it will have, we can say it will have some and probably is already to some degree. It's clearly important to get stuck in with authorship markup and linking and start building your author profile if you want to get ahead of the competition. Businesses should consider creating a presence on Google+ and linking it to their blog to start this process. If you're producing excellent content and it is being shared, it's important Google can see that data and judge you on it. The number 1 spot becomes less appealing because the second link has more detail, an image and information about the author (and their popularity on Google+). It's instantly more appealing and draws you towards it. So even when the site has a lower rank for the search term, it is theoretically plausible that the second link will get more clicks, more visitors and better results. Simply because they implemented authorship markup. Of course this can't apply to everything, products and services were not 'written' by an author, but those links could be optimised with micro data and rich formats. 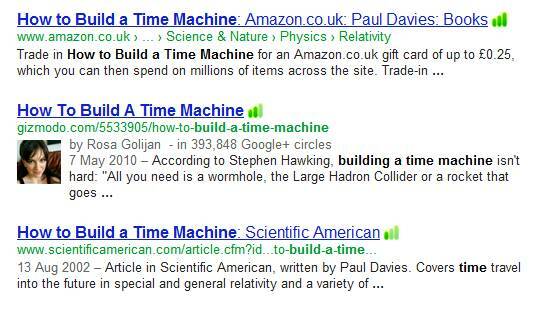 Interestingly, Google has recently improved how the Authorship system works. Search Engine Land documented how if you'd clicked such a link, spent some time reading the article, then clicked back to the search engine, you'd find 'more articles by the same author. Once again the results become more appealing and interesting. One of the requirements of Authorship Makup is having a connection to an 'about' page on the site. Many sites implement this with a blurb about the author at the bottom of the article. These author bio boxes present a perfect oppourtunity to encourage more followers on other social profiles (as well as Google+). Authors added Twitter, Google+, Linkedin and Facebook links to their blurb. Links to a site and company accounts are not unheard of. So not only would you be improving the rankings of your site with proper markup, but you'd also be improving engagement and increasing your follower base. The conclusion here is that Authorship Markup is an important part of future SEO practice that we should be implementing now. For clients, have you got a strategy building your AuthorRank? If not, get in touch and we'll help ensure you get the most out of your rankings!